Mr. Booker T. Womble "Book" was born August 14, 1934 to Annie Odessa Womble in Randleman, North Carolina. He transitioned to his heavenly home on Thursday, January 17, 2019 at Randolph Health. He completed K-8 at Randolph County Colored School and completed high school at Central High in Asheboro, NC. Around the age of eight Book began working for Mr. George Shaw at Shaw's Cut Rate Furniture, later known as Shaw's Furniture Galleries. Book and Mr. Shaw made an agreement that he would work as a handyman for twenty cents a week and after one year he would earn 104 nickels. Realizing the value of a nickel after one year, he asked, "how about we double the pay" and Mr. Shaw gladly agreed. Book remained a reliable employee and became a supervisor and right-hand man with Shaw Furniture Galleries for over seventy years and through two generations. As a pillar in the community, Book was known as the "Honorary Mayor" of Randleman. 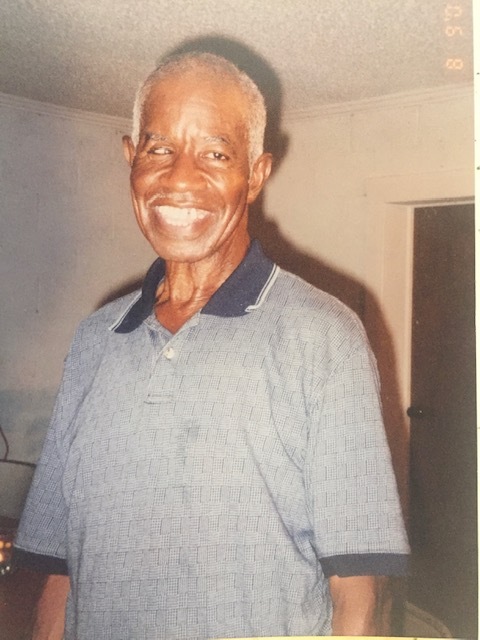 He made many impactful memories including having a street named after him and making history by being the first African American in the Randleman Christmas Parade, where he drove Mayor Elizabeth Swim. Book was a devoted Christian and dedicated member for many decades at Ferree's Chapel United Methodist Church. As a gate keeper of the church, he maintained its cleanliness and serviceability for all programs and church events. As a diehard Nascar fan he attended numerous races all over the United States. He loved all sports and was known to frequently attend Randleman High School's football games. In addition to his mother he was preceded in death by sisters, Lucille Womble and Gwen Belo; brothers, Tommie Womble and Gennel Womble (Nancy). As a loving friend and family man, Book leaves many cherished memories to nieces and nephews; Ann Foster (Dallas), Clintona Belo, Mari Belo, Brian Womble, Wendy Laughlin and Joy Laughlin; great nieces and nephews, Jerelle Laughlin (Marquita), Tamica Turner (TJ), Shamica Belo, Brittany Laughlin, Jasmine Laughlin, Racheal Clark (Maine), Anthony Belo Hope Laughlin, Amir Belo, Amari Belo and Joshua Laughlin; great-great nieces and nephews, Jametria, Janiya, Jakaela, Elijah, Josiah, Jeremiah, Zachariah, Kaziyah and Caleb; a very devoted friend Sherrill Shaw and "brother from another mother" Roger Shaw (Lori). Odell, Betty Sue, Tonya, Trace & Jania we do not have the words to express our thanks for the support you gave our Uncle in time of need. We would like to give thanks to the late George Shaw for the wisdom he instilled upon Book from a young age. Sherrill and family we truly appreciate your support and friendship with our uncle. May God Bless you all and keep you in his care always. A Celebration of Life will be given on Saturday, January 26, 2019 at Ferree's Chapel United Methodist Church, 642 S. Stout Rd., Randleman, NC. The family will receive visitors and friends from 11:30am to 12:00 noon and service beginning at noon. Burial will follow at Randolph Memorial Park.